• Manufacturer: The price range depends highly on the brand or manufacturer. There are a number of famous brands known for manufacturing high quality instruments. Yamaha and Selmer are top saxophone brands. These may be expensive but they are the standards against which all other brands are measured. Yamaha, regardless of the type, range between $1300 and $4000. Selmer sax, on the other hand, are slightly more expensive. Their price ranges between $2000 and $7500. Yanagisawa and Keilwerth are also known brands. You can buy their saxophones at reasonable prices. • Type of saxophone: the four different types of saxophones have varying prices. An alto may be purchased for as low as $200 but the quality would not be very good. An expensive alto sax ranges from $4000 to $8000. An inexpensive tenor can be bought for $300, whereas the expensive ones cost about $6000. Soprano saxophones also range between $300 and $6000. Baritones are the most expensive type. Their price may be as low as $1000 or as high as $12000. • Material: the prices of saxophones are also dependent on the material that is used in their manufacturing. 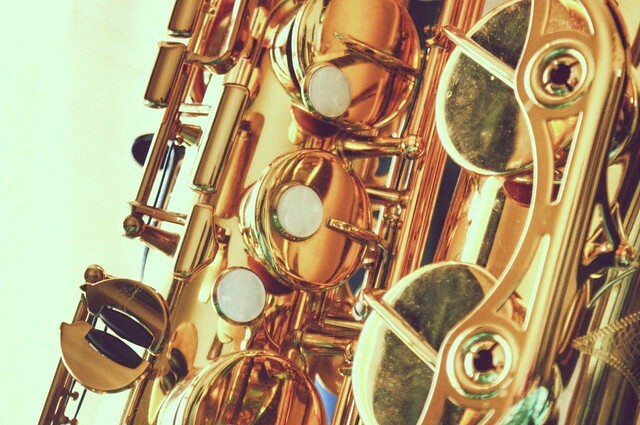 Although, saxophones are brass instruments, they can be made of a number of materials. Various manufacturers have tried using diverse materials in the manufacturing of saxophones. The most common saxophones are made of brass and their price ranges between $200 and $7000. Other saxophones made of materials like stainless steel, bronze and polycarbonate can be purchased within the same price range as well. Saxophones that have silver or gold plating have a much higher price range. If you do not want to buy a new saxophone due to monetary limitations, you can always look for good deals for used saxophones. Although, there is no guarantee that used saxophones will be worth your money, you can always buy cautiously and get the best option available. Moreover, you can find various websites that have new saxophones for sale at reasonable prices. It is recommended for beginners and students to try their hand on a less expensive saxophone. Professionals, however, should always buy high quality branded saxophones. The price of the saxophone can also vary if accessories like saxophone case and neck strap are bought along with the instrument. By the 1940's the saxophone was a well established and very popular instrument in both classical and jazz music. As the 40's brought more musical styles like jump blues, rhythm and blues and rock and roll the instrument would become even more important and play a major roll in the new sound. Illinios Jacqeut was a very good swing jazz player and like many others, he was drawn to the new sounds. He was only19 years old when he worked with Lionel Hampton's band and recorded his famous solo that started others honkin' and screaming' to start the beginning of the rock and roll saxophone. Ahh... those crazy kids. This was a new generation, born in the 20's right around the time Louis Armstrong and Coleman Hawkins were coming on the scene. They probably thought these guys were nuts, but they fuelled the bands and drove the audience crazy with their energy. Honkin' and screamin' aside, the saxophone, especially the tenor was sounding big and raunchy like never before. Guys were growling more and making it squawk and really wailin'. The honkin' was a fad that passed quickly but it helped to take the sax to another level of popularity, The rock and roll saxophone sound was now mandatory in all the jump, R&B, and rock and roll bands. This new sound of the 40's rhythm and blues produced many rock and roll saxophone stars. Besides the ones I mentioned above, here are a few others; Joe Houston, Red Prysock, Sam "the man" Taylor, Lee Allen, Willis "gatortail" Jackson, Louis Jordan and King Curtis. "Tenor battles" were popular as soon as you had a couple greats at any given time, like Coleman Hawkins with Lester Young, or Red Prysock with Sil Austin, and two of my favorites Sam Taylor with King Curtis. Most of these guys were coming from the swing scene as well but were involved with their own R&B / rock and roll groups or were sidemen to star singers like Little Richard, Fats Domino, Wynonie Harris, and Ray Charles. Without a doubt, one of the most influential for us guys playing any kind of rock and roll saxophone today is King Curtis, who came onto the New York scene shortly after the rock and roll movement got into full swing in the mid 50's. Of course you've heard his sax on many hit records from Aretha Franklin to The Coasters and he had many of his own as well in the 60's. Alto saxophonist Charlie Parker was one of the most influential jazz musicians of all time. Known also as Yardbird, or simply Bird, Charlie was an early bebop pioneer; many of his songs remain standards to this day. It might surprise you, but Charlie Parker started playing the saxophone at age 11, but wasn't a child prodigy by any stretch of the imagination. He joined the school band at age 14, and by one account, was kicked out because of his bad playing as a result of his lack of formal training. Charlie didn't let setbacks bother him though, and an in interview once said that for three to four years he practiced 15 hours a day. Part of this practice regime included playing the blues songs he learned in all 12 keys. During this time, Parker's improvisational skill flourished, and he began to develop some of the musical ideas that would give birth to bebop. "Charlie Parker, Tommy Potter, Miles Davis, Max Roach (Gottlieb 06941)" by William P. Gottlieb - Licensed under Public Domain via Wikimedia Commons. In the late thirties, Charlie played with local jazz bands in the Kansas City area. Ensembles led by Count Basie and Bennie Moten were popular in the area around this time and influenced Charlie's playing. By 1938 Charlie Parker had joined pianist Jay McShann's band, Jay McShann's Territory Band. The band played all over the southwest and occasionally travelled to bigger markets such as Chicago and New York. It was with Jay McShann that Parker would play on his first professional recording. Bird moved to New York in 1939 and took a job as a dishwasher at Jimmy's Chicken Shack to supplement the income he made with Jay McShann's Territory Band. Pianist Art Tatum frequently played at the venue and his use of fast paced arpeggios would have an influence of Parker's playing. In 1942 Charlie Parker left Jay's band to play with Earl Hines ' band. A band that included Dizzy Gillespie on trumpet. A musician's strike from 1942-1943 has made it difficult to document much of what happened during that period. We do know, however, that in that year Paker played with a group of young musicians who embraced the new bebop form of jazz. This group of musicians included not only Parker and Gillespie but other soon to be legends, such as Thelonious Monk, Charlie Christian and Kenny Clarke. During these formative years of the genre, most of the older, established jazz musicians did not embrace it. Some, however, such as Coleman Hawkins and Benny Goodman, appreciated the new art form, playing and recording with bebop stylists. The genre which Charlie Parker all but invented, had arrived. Charlie was famous for showing up to gigs without an instrument and borrowing one from somebody else at the last minute. For this reason, he could be seen playing many different makes and models of sax. These include Conn 6Ms, Selmer model 22s, and 26s, and even a Grafton plastic saxophone. In 1947 he had a King Super 20 made exclusively for him. He seemed to prefer Brilhart mouthpieces, having used both Ebolin and Tonalin Streamlines. According to rumor he used hard Rico reeds early in his career but later switched to a 2 ½ in the fifties. Sadly musicians have an increased risk of developing repetitive strain injury. Many factors contribute to this including less than ergonomic instrument design, high stress levels when performing and relentless lengthy practice sessions. My first piece of advice to any musician who thinks they've developed repetitive strain injury is don't panic! Whilst this infliction can be physically very painful and mentally crushing, it is a sign from your body that change is required. With the right energy and commitment the healing process can be a time of positive reflection and will only serve to benefit you in the long run. There are many more problems causing repetitive strain injury in musicians than a short article can cover so I am going to focus on one in particular which I've found prevalent. This is tension in the neck and shoulders. When we're worried about performing, scared of making mistakes or over worked and stressed this often manifests physically as tightness in the shoulders. Over time this puts pressure on the nerves and tendons running down your arms and into your hands. For many musicians with repetitive strain injury, simply removing this tension can go along way to relieving the symptoms. The first step to achieving this is to sit and relax. Focus on breathing in the tension in your shoulders and then letting it go as you breathe out. As you do this, say in your head "my shoulders are relaxed". After practicing this for a few weeks everyday, you can begin to try and maintain the relaxation as you practice. It sounds simple, but you will find a great deal of concentration is required to really focus on letting go of the tension. This process alone can be very therapeutic. You will probably find the tension comes back soon after you've begun practicing as your attention is diverted back to playing. Don't worry. Simply stop, do the relaxation without your instrument, and then come back to it. It will take time and patience, but after a while you will begin to feel more relaxed whilst playing and start to lessen your risk of repetitive strain injury. Naturally when playing for extended periods you may find the tension begins to come back. Not to worry, as long as you learn to recognise this and act appropriately, you will be able to look after your body. As previously mentioned, repetitive strain injury in musicians is provoked by a number of factors. This article is a brief introduction and it would be advisable to see a number of medical professionals to gain many points of view. Regardless, it is important to remain as positive and calm as possible in order to achieve recovery. Buying a new saxophone requires minimal knowledge of the types of saxophones available in the market as well as the differences that distinguish them from each other. 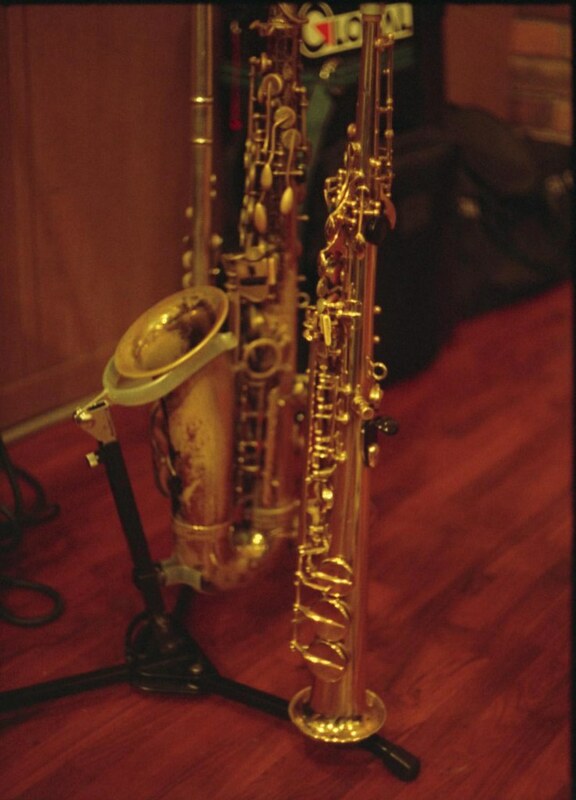 Saxophones are generally categorized into four types. The first would be the soprano saxophone which is in the key of B flat. Its sound or pitch is higher compared to the other saxophones and is therefore generally considered as the hardest to play. This is not recommended to beginners who are not yet adept at playing the instrument. The second type is called the Alto Saxophone and is in the key of E flat. It is the one commonly played most especially by beginners. 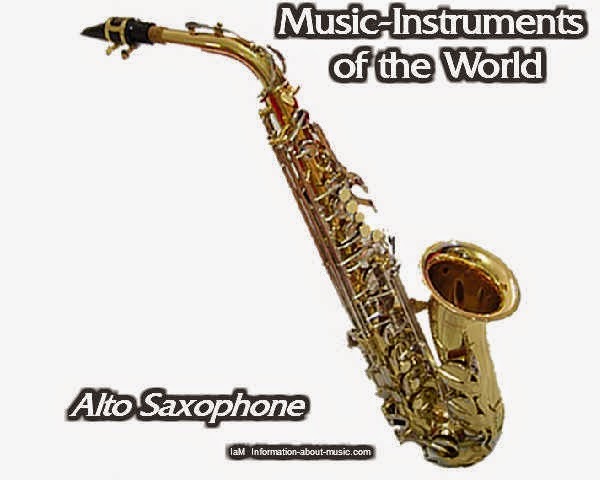 This type of saxophone is recommended to beginners because most of the practice materials and compositions for beginners are in the alto pitch. The third one is called the tenor saxophone. It is in the key of B flat and is mostly used for playing jazz and blues as well as rock music. However, the neck of this kind of saxophone is longer than the other types of saxophone making it more prone to damage. The fourth kind is the baritone saxophone. It is usually played for jazz solos. It is the largest among the other three types of saxophone that its players will have to wear a harness to support its weight. The person buying a new saxophone must determine first the exact purpose(s) for which the instrument is to be purchased. For instance, if one is looking at buying a new saxophone to play mostly jazz or rock music, then the best choice would be the tenor saxophone. But if the person using the instrument is a beginner and wishes to learn more about playing the instrument, then the Alto Saxophone is the best pick. Since these saxophones also come in different shapes and sizes, one who intends to use the saxophone regularly and wishes it to be more handy and manageable as opposed to heavy and sturdy will have to do away with baritone saxophone. After delimiting one’s choice to any particular type of saxophone, the next consideration would be the price. This is very important especially if one has to work with a limited budget. Nevertheless, price consideration is also important vis a vis the market value of the instrument. One would not want to purchase an extremely cheap saxophone as it may render the quality of the instrument in doubt; neither is it wise for anyone to just rush and purchase a new instrument for a price twice its real market price. That would be a total rip off!! Checking out the manufacturer of the saxophone may also help in ensuring that the saxophone is going to be good quality. This is especially important to ensure that one does not buy an instrument which is difficult to tune, has bad or weak tone, or is easily broken. The model of the instrument may also be helpful in buying a new saxophone. However, for students who wish only to purchase new saxophones for practice and casual playing as opposed to professionally using the instrument, being particular with the model may not be necessary. Finally, when the questions on the type of saxophone, its price, manufacturer and model have been settled it is important to make sure that the instrument is in its best condition. Check for faulty hardware, breaks, leaks, or bent parts. When all these have been observed, one may then proceed to purchase buying a new saxophone. Music has always been an inevitable part of human life and many of you may love to hear good music or play music for your own satisfaction and contentment. There are different types of music instruments such as saxophones, trumpets, guitar, piano that are used by people to fulfill their music love. Of these saxophones is still the most rare and appreciable music instrument by the people. Saxophone was invented by Adolph Sax in the 1840's and is not really an instrument but a group of instruments. Sax has invented about fourteen saxophones out of which eight still exists. However, only four of them are commonly available - the soprano, alto, tenor and baritone saxophones. 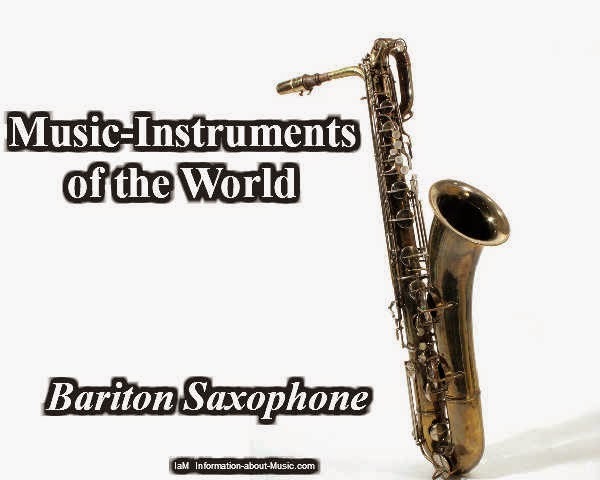 Out of these, the alto saxophone is most commonly found which most people think of. Other saxophone that still exists include E-flat soprano, B-flat soprano, E-flat alto, true tone alto, B-flat tenor, E-flat baritone, B-flat Bass and contrabass. The early saxophones were made in F and C and not E-flat and B-flat whereas others were invented but were possibly too radical to remain in the creation. The soprano saxophone is one of the straight saxophones in the whole family because it looks like a clarinet but it is made up of brass. It can be classified as a woodwind as it is a single reed instrument. The alto saxophone is curved around and has one bend in its neck whereas the tenor has a more curved neck and is larger. The baritone's neck is a full circle and is the largest of all the saxophones. Its case is around four feet long and when it is played, it doubles the brass section. The soprano saxophone is not a common in most of the band but it is used sometimes and when it is played, it plays a part similar to a clarinet or even as another clarinet. It has a higher sound and often doubles the higher woodwind parts. Olivia Andrews, writer of music-future.com is a freelance journalist and has written many reviews on subjects such as finance, education, health, entertainment, music, gifts, crafts, travel, apparels and mobile phones. Without a doubt one of the true giants of jazz tenor saxophone is Sonny Rollins. Born in Harlem, New York in 1930 Sonny began studying piano and alto saxophone at age 11. When Sonny turned 16 he switched to tenor saxophone in order to emulate one of his idols, the great Coleman Hawkins, who lived in his neighborhood. Thus began the development of one of the most unique and influential voices in jazz saxophone history. Sonny grew up in the Sugar Hill neighborhood of Harlem surrounded by many jazz greats. Thelonius Monk took an interest in this young saxophonist and became his mentor. In 1948 at the age of 18 Sonny made his recording debut with Babs Gonzalez. Because of his immense talent he soon began working with jazz greats such as Charlie Parker, Bud Powell, Max Roach, Art Blakey, Fats Navarro, Miles Davis and the Modern Jazz Quartet. In 1957 Sonny became the first known jazz musician to feature a trio without a piano. The trio which consisted of tenor saxophone, bass and drums displayed Sonny's ability to outline the harmony of a song while using his varied rhythmic lines. The first album recorded with this format was Way Out West which was recorded when Sonny made his first trip out west with the Max Roach Quintet. Both the bassist, Ray Brown and the drummer, Shelly Manne were also in Los Angeles with the groups they were currently working with. Because of the busy schedule of all three musicians the recording session for this fantastic album started at 3 a.m. These three musicians had never worked with one another before but managed to record a classic jazz album in one session. In the summer of 1959, at the height of his popularity, Sonny began his first and most famous sabbatical from performing and recording music. He had become dissatisfied with his own playing and with the hype surrounding his place among the jazz giants. During this 2 year period Sonny would spend his nights practicing on the Williamsburg Bridge on the Lower East Side of Manhattan so as not to disturb his neighbors. In the winter of 1962 he returned to the studio to his next album entitled The Bridge. On September 7, 2010 Sonny turned 80 years old and is still blowing strong. On December 2, 2009 I had the pleasure of seeing this saxophone giant perform once again at the Kennedy center in Washington D.C. I had seen him many times before, but on this night on truly magical connection was made between the artist and the audience. If you are a jazz fan and have never seen Sonny play live then you owe it to yourself even if you have to travel to do it. Joel Krett currently plays tenor saxophone and harmonica with The Subway Show Band out of Morgantown, WV and is an avid jazz fan. One of the undisputed giants of the tenor saxophone was John Coltrane. His total dedication to the mastery of his instrument of choice and his immense, innate talent made him a formidable force in the world of jazz during the 50's and 60's. It has been rumored that he would spend 12 hours practicing just one scale until he exhausted all possibilities with it and that 24 hour practice sessions were not uncommon. A portrait of John Coltrane by Paolo Steffan 2007. John Coltrane was born in Hamlet, North Carolina into family life full of music. After graduating from high school in 1943 he moved to Philadelphia where he enrolled in the Ornstein School of Music where he was known for his unrelenting work ethic. In 1945 Coltrane was called to military service by Uncle Sam where he performed with the US Navy Band. With his military obligations fulfilled Coltrane returned to Philadelphia where he played with jazz greats such as Jimmy Heath, Benny Golson, and Ray Bryant. In 1948 Coltrane played tenor saxophone with Eddie 'Cleanhead" Vinson followed by a stint as alto saxophonist with the Dizzy Gillespie Big Band. In 1958 Coltrane joined the Miles Davis Quintet where according to him he was given "plenty of freedom" to explore his evolving approach to jazz improvisation. As a member of this group he participated in the recording of what is to be considered one of the greatest jazz albums of all time, Kind of Blue by Miles Davis. Trane, as he came to be known, along with alto saxophonist Cannonball Adderly laid down some of the best jazz saxophone solos ever heard and still studied today by up and coming jazz musicians. John Coltrane left Miles Davis and started his own quartet in 1960. However, during his time with Miles he managed record his own legendary jazz album called Giant Steps. The title tune became known as a groundbreaking jazz composition because of the new harmonic progression employed by Coltrane. The complex chord progression, later to be known as 'Cotrane changes", and the fast tempo made the song a difficult task even for serious jazz musicians. John Coltrane died from liver cancer before his 41st birthday. One can only imagine what can of music Trane would have made had he'd been able to play another 40 years much like his contemporary Sonny Rollins has managed to do. His horn has been silent for many years now, but the music he left us with is thriving and continues to have a major impact on the world of jazz. Saxophones are most commonly renowned for their use by jazz and pop musicians, although they are closely linked with instruments that include trumpets and trombones. This wind instrument will probably be generally employed in classical music, but is just not commonly an instrument that stands out in such musical productions. While classical and pop music are completely different music styles, composers like John Adams have been known to straddle the line that separates the two. He and others do so by making use of the saxophone as a classical instrument in his version of a Saxophone Concerto. Other's have been written prior to his composition, but Adam's is one of the less obscure versions. John Adams selected solo musician Timothy McAllister to be the leader of the first functionality of his concerto in the states, together with the Baltimore Symphony Orchestra. Adams had taken advantage of McAllister's virtuosic saxophone methods formerly for his compose, City Noir, and was eager to produce anything with a more complicated saxophone portion to showcase McAllister's skills. Clocking in at about 30 minutes, the Saxophone Concerto is definitely a showcase of difficult segments and complex polyrhythmic elements all centered on the broad range of articulation achievable with a saxophone. Reported by McAllister, the piece is probably among the most complicated he has ever played. However, Adams has faith in McAllister's potential to achieve the relentless streams of speedy segments that cover the complete tonal spectrum of the saxophone. The North American release of the Saxophone Concerto by John Adams was held on September 20, 2013. You can find plans for it to become recorded within a studio very soon. Adolphe Sax unveiled the very first known saxophone in 1846. Although Sax designed the instrument with the purpose of filling the gap between brass and woodwind instruments, he pitched the saxophone based upon the instrument's sound as opposed to the traditional tunings used in classical music. He had initially created two versions of the saxophone. The very first becoming C and F pitched models which he intended to become employed in classical music. The 2nd being Bb and Eb models which have been intended for military band usage. In spite of his intentions, the C and F versions of the saxophone have never actually been made use of for musical arrangements, although the Bb and Eb are generally put to use within a number of compositions. Adolphe Sax constructed the saxophone with the goal of incorporating the projection and tone of the brass instrument and the playing method of woodwind's. The popularity of this instrument in solo jazz acts and pop music was largely due to its wide articulation range that offers expressive sound and an agile style of play.